It’s not a good time for Facebook. In March of 2018, whistleblower Christopher Wylie told The Guardian that a data company had used 50 million Facebook user’s data to influence the 2016 US presidential election. 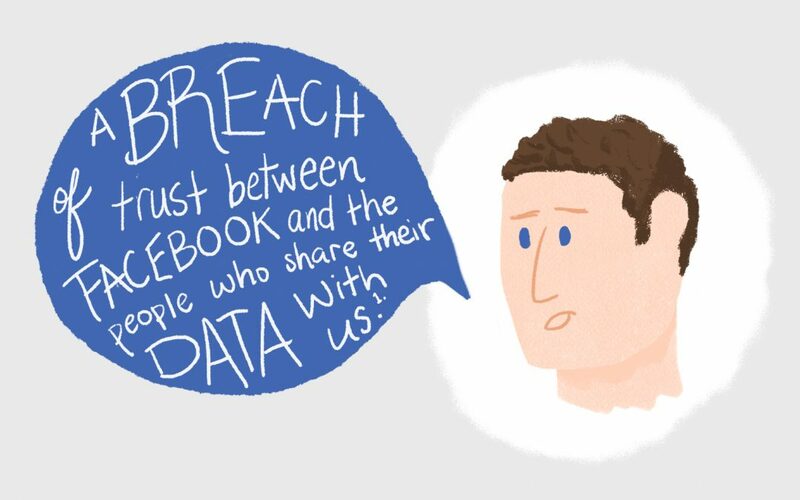 A #DeleteFacebook movement ensued. Facebook’s stock plunged 18%, a drop of about $80 billion in market value. People are not happy with the social giant. What actually went wrong with Facebook, Cambridge Analytica, and Aleksandr Kogan? How do we keep our Facebook marketing efforts from becoming a huge scandal, too? It’s a convoluted story—and there’s still a good deal of investigation going on. So we’ve broken it down into an illustrated narrative. Enjoy it, and share this post with your team—the better we marketers understand what happened, the better we can plan for the future.